THE successful Work at Home Mum Expo held last month in Calliope has got one woman fired up about the benefits of starting a business while raising children. Heidi Fowles says running her jewellery business, Firefly Amber, is very satisfying and creative. "I found it very therapeutic. It was something just for me, to be able to love my kids and love being home with them, but also (do) something creative and social." 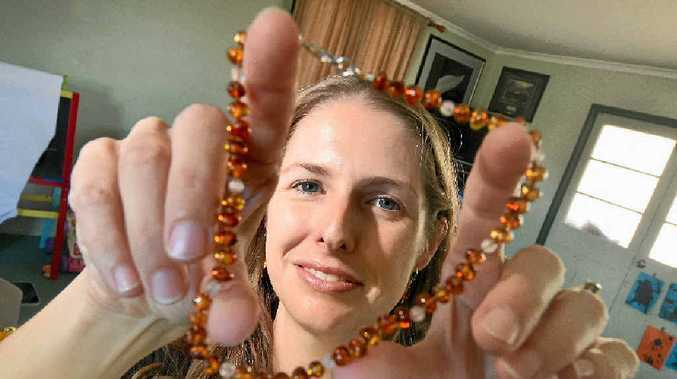 Mrs Fowles uses Facebook to promote her handmade jewellery, which she sells at the Beach, Arts and Music market in Tannum Sands and at WaHM expo in Calliope. Small markets such as the Mums and Bubs Market formerly run by the Dirty Rascals playgroup are pivotal in encouraging mums to start their own business, she said. Markets aimed at supporting work-at-home mothers are shorter, which means babysitting isn't always necessary, and often stallholders do not require their own insurance and other overhead costs.